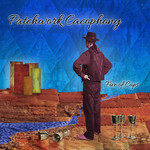 Images and Sounds - Patchwork Cacophony Released! 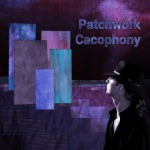 New Patchwork Cacophony Album announced for 7th November! I feel like I have written more words about it than any other subject but looking at my blog seems to tell another story, so here’s the full story on the album. Patchwork Cacophony wasn’t really original intended to be the entirely solo thing it turned on. I was going havea mix of other people play on various parts and have it as a “Ben Bell and His Patchwork Band” album, but after a few attempts which didn’t quite gel (through no fault of the musicians) it began to feel like I’d have a better chance of getting across the music I had in my head if I just played the whole thing myself. If I had known then how much work that was going to be I might well never have released it. Depending on how you count it, this album’s taken five years to record. A lot of the Dawn Light recording dates back to November 2008. The writing process goes back even further, with the ideas for Sketch being from something like 2001 and Brinkmanship probably earlier than that. But it was really sitting down and recording the first six parts of Dawn Light in 2008 which caused me to make some sort of commitment to myself to actually make an album of my own. The “Patchwork” in the title is to a large extent in keeping with my take on music. I like pulling different ideas from different places and stitching them together into a colourful tapestry rather than a a single, consistent sound. That’s probably one of the most appealing things about prog-rock for me: there are no implicit rules about what you can and can’t do with the music. As for the “Cacophony” part… well I may regret using that word as people might take it too literally and steer away from it. There are certainly points where it’s riotous and quite deliberately over the top, and I suppose the slight tongue-in-cheek usage of the word doesn’t necessarily come across in print. The album’s really split into two halves, with the first part being instrumental progressive rock. Sketch of a Day is a piece of shifting moods ranging from fairly laid back to really rather over the top. It features pretty much every instrument I could play at the time and a twelve part “Choir of Doom”. No U-Turn is supposed to be a straight down the line piece after the gilded-lily effect of Sketch, and Dance of the Fleet-footed Heffalumps is a light-hearted mellotron outing to lighten the mood. Brinkmanship is one of the most rhythmically complex things I’ve written and learning the drum part for it was single-handedly responsible for delaying the album by a good six months — perhaps more. Nylons for Parot is there as a keyboard player’s homage to Steve Hackett’s solo works on early Genesis albums. And then there’s Dawn Light. At various times in its development it was referred to things like “The Post-Apocalyptic Zombie Musical” but essentially it was an attempt to write a long, cohesive piece of music which could still be broken down into songs. Unlike the rest of the album, it has vocals as well as instrumental tracks, and for some reason I decided from the start that it would feature no guitar at all (apart from bass). So, it’s essentially an album of six tracks, with the last one being broken into nine parts, and with three pieces being short instrumentals and three being more substantial things. Each of these tracks has artwork courtesy of Candy Medusa (who also did the artwork for our Broken Parachute album and indeed Deep Purple’s “Above and Beyond” single).